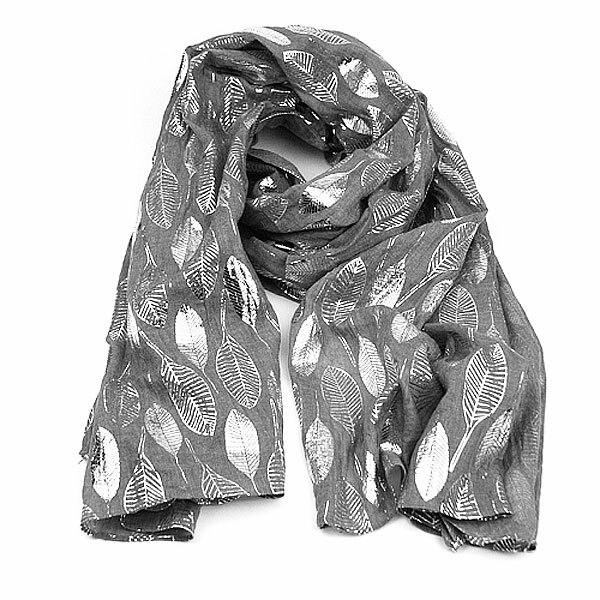 A long polyester scarf in a mink grey embossed with silver leaves. 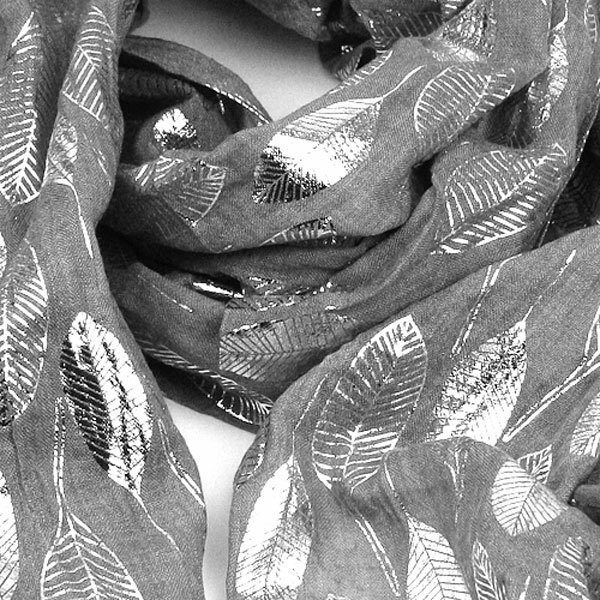 The silver leaves of the scarf's design are in 2 styles; larger leaves pointing in one direction on which the veins are picked out in a metallic silver and smaller leaves, pointing in the other direction, on which the sections between the veins have the metallic embossing. This scarf also comes in a gold and dark blue.